Adelaide United Football Clubis a professional soccer club based in Adelaide, South Australia. The club participates in the A-League under licence from Football Federation Australia. 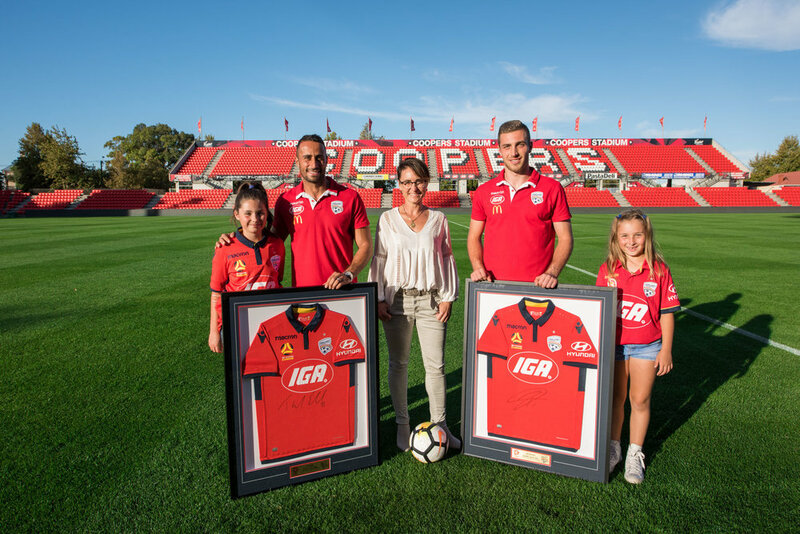 The club was founded in 2003 to fill the place vacated by Adelaide City and West Adelaide in the former National Soccer League (NSL), and is now the sole team from the state of South Australia in the A-League. Adelaide United's home ground is Coopers Stadium. Adelaide United were premiers in the inaugural 2005–06 A-League season, finishing 7 points clear of the rest of the competition, before finishing third in the finals. They were Premiers again in 2015/16 finishing just one point ahead of second place Western Sydney. The Reds made the Grand Finals of the 2006–07 and 2008–09 seasons, but lost on both occasions to Melbourne Victory. Adelaide are the current A-League champions, having won their first Grand Final on 1 May 2016 against Western Sydney.